Despite his controversial record, Democrats will only get to call four witnesses during the course of a two-day hearing. 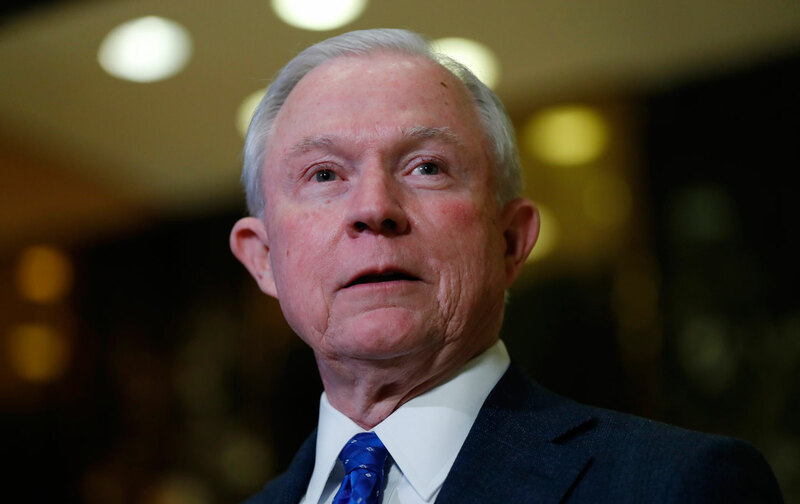 The Nation has learned that Senate Democrats will get to call only four witnesses to testify about the nomination of Senator Jeff Sessions as attorney general. Moreover, Sessions will only face a two-day hearing, rather than the four-day grilling the Senate gave Attorney General John Ashcroft, the last nominee who was also leaving the Senate. Sessions was rejected for a federal judgeship by a Republican Senate in 1986 because of his anti–voting rights activism and racist comments, including jokingly approving of the Ku Klux Klan. Two days after eight NAACP members, including the group’s president Cornell W. Brooks, were arrested occupying Sessions’s Senate office in Mobile, Alabama, the battle lines are drawn for the first serious ideological confrontation of the Trump administration. So far, Democrats are looking like they’re ready for a fight. Sessions’s confirmation hearing is scheduled for January 10 in the Kennedy Caucus Room, named for the late legendary former Judiciary Committee chair Ted Kennedy. In late November, Senate Democrats, led by outgoing Judiciary Committee ranking member Patrick Leahy, asked Republican committee chair Chuck Grassley to schedule four days of hearings and to include a larger number of witnesses called by Sessions opponents, given the nominee’s controversial views on voting rights, civil rights, women’s rights, and immigration. They pointed to Ashcroft’s 2001 confirmation hearings—also held after a GOP president, George W. Bush, lost the popular vote—which went on for four days and included 19 outside witnesses plus four senators. The 1986 Senate Judiciary Committee hearing to consider Sessions’s failed judicial nomination lasted at least three days and featured dozens of witnesses on both sides. Current ranking member Dianne Feinstein also asked Grassley to push the Sessions hearing back beyond January 10, because the Alabama senator submitted remarkably incomplete answers to the Senate Judiciary Committee questionnaire—you can read what’s missing here—but Grassley has refused. Now multiple sources close to the Senate discussions, as well as advocacy-group leaders, speaking on the condition of anonymity since negotiations with Grassley and his staff are nominally ongoing, say that Grassley has also refused to expand the number of witnesses, restricting Democrats to calling only four people over two days who can testify to Sessions’s long, controversial record on issues of civil rights. Grassley’s committee press secretary Taylor Foy confirmed that will be the final schedule, sharing this hearing announcement. Sessions is one of Donald Trump’s most controversial picks, given his views on voting rights, immigration, women’s rights, and sentencing reform. In addition to all of those issues, he will be in charge of keeping on top of Trump’s myriad conflicts of interests and other legal challenges. Sessions is close to the president-elect and was one of his first supporters among elected officials. Leahy, who is still on the Senate Judiciary Committee, recently wrote Grassley that Sessions’s incomplete answers are “increasingly troubling” given that “as a former ranking member of this Committee, Senator Sessions is well aware of the seriousness with which this Committee takes the confirmation process.” In fact, in 2010 Sessions suggested that Obama judicial nominee Goodwin Liu might be committing a felony because of his allegedly incomplete committee disclosures. Also troubling to Democrats is Sessions’s refusal, so far, to recuse himself from voting on his own nomination. No rule requires him to, but Hillary Clinton and John Kerry, both senators when they were nominated for secretary of state, abstained. Senator Richard Blumenthal just added his voice to those calling on Sessions to recuse himself, but so far, Sessions hasn’t responded.